Studying can be time consuming, stressful and expensive. However, an MBA is well worth it, as it will open up many doors for you in the future, and could even help you to start up your own business. Now is a great time to be studying, as there are so many gadgets, and apps, which can make the whole process a lot easier and much more enjoyable. The ultimate use of technology to aid your studies, is of course studying an online course. If you are interested in online MBA programs, see Northeastern University for more information. In the meantime, here are some of the best gadgets. A Bluetooth coffee machine, or a Wi-Fi kettle, can be connected to your smartphone. This allows you to use them without being at home. Have a hot cup of coffee waiting for you when you arrive. What could be better after a hard day studying? 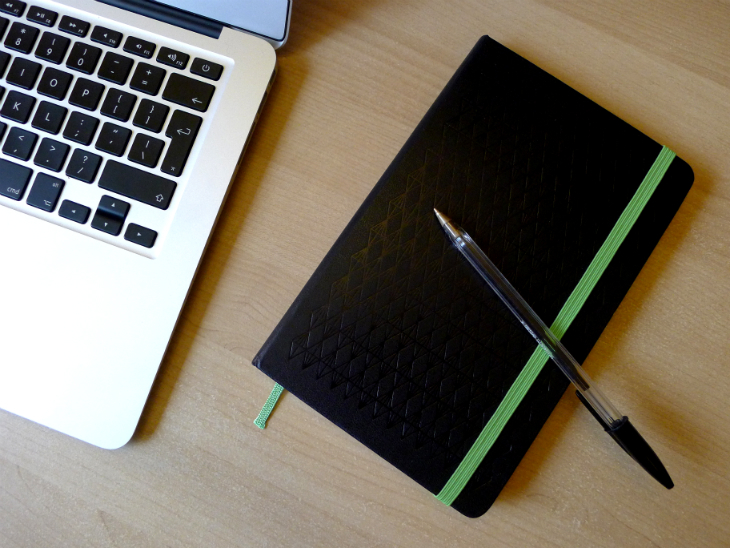 The Evernote notebook from moleskin is the perfect combination of modern technology with gorgeous traditional style. Make notes in your classic leather notepad, have them waiting for you on your smartphone, tablet or any other device with the Evernote app. E-readers such as kindles are a great way of carrying around all of your course materials without breaking your back. It’s especially useful for traveling. Just remember to download some fiction for when you need to take a break and relax. As a busy student, especially if you are studying for an online MBA degreeand spend a lot of time sat in front of a computer, it’s easy to slip into bad habits when it comes to health and fitness. It’s important to remember that a healthy, active lifestyle can help you stay alert and focused, as well as preventing illnesses. An activity tracker such as a Fitbit will help monitor your daily steps, heart rate and calorie expenditure, as well as reminding you to move more. Having more knowledge of your daily activity is often all it takes to get you doing more. Getting out of bed is the worst part of the day for a lot of us. This is especially true if you’ve had a late night finishing an assignment, or at a party. Often, the loud, sharp sound of an alarm clock leaves us feeling grumpy, tired and sometimes with a terrible headache. The Bodyclock starter 30 by Lumie wakes you up slowly, over a 30-minute period. It is thought that allowing your body to wake and adjust more slowly will help you feel refreshed and energized. An absolutely must for students. Tablets and smartphones can be great. But if you want to study on the go, or make digital notes in lectures, a lightweight laptop, such as a HP Stream is much better. A camera, to capture all your new experiences. Phone cameras are great nowadays, but if you want to make your photos truly great consider a DSLR. Or, for a retro charm, a Polaroid. An external hard drive. Make sure you back-up all your work. Just in case. Bluetooth speakers. For all those nights entertaining. Do you have any better suggestions? Let us know in the comments.